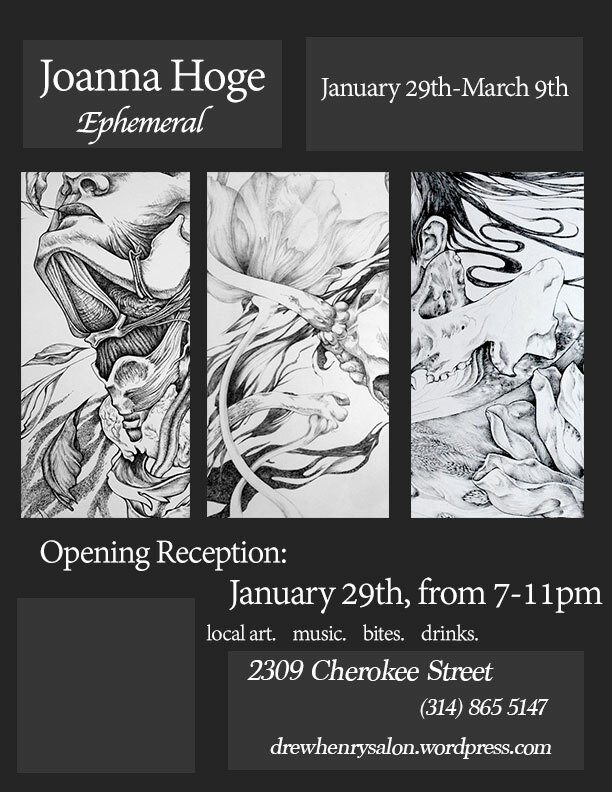 Ephemeral Opening Reception/TWO year Anniversary Party! Join us for the opening reception of Ephemeral, a collection of works on paper by local artist, Joanna Hoge. We will also be celebrating Drew Henry salon&gallery’s 2nd year anniversary!